Ever been or participate to any outreach tour? Let me share mine, Marinduque Philippines. Outreach tour is a unique travel. Aside from the chance to visit and experience different culture of places, part of the itinerary is some humanitarian activities (in this tour, we visited Bonliw Elementary School). 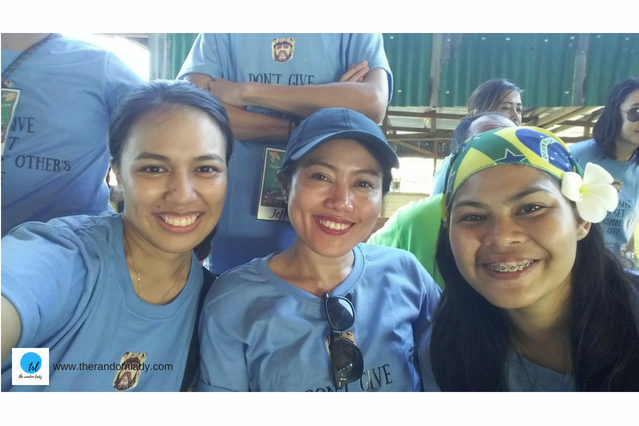 Last August 25 to 28 2017, I was able to be part of Marinduque Philippines outreach tour by Kalinga team. 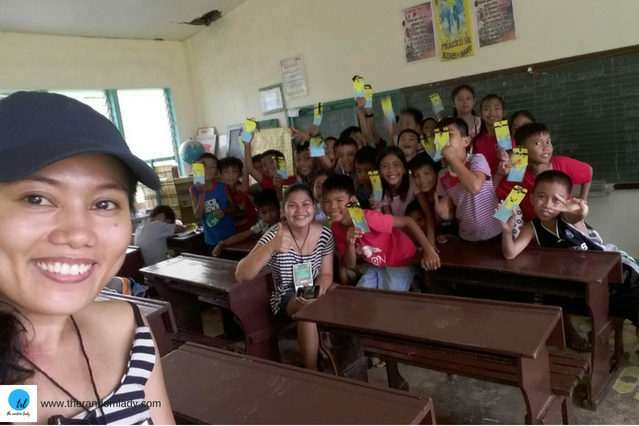 Participants of this group tour are addressed as volunteers because of the good gestures express to help students of Bonliw Elementary School. Since volunteers are from different point of Luzon, the tour started at Quezon City Jack liner bus terminal where every volunteer meets. We leaved Quezon City around 6 pm of August 25. 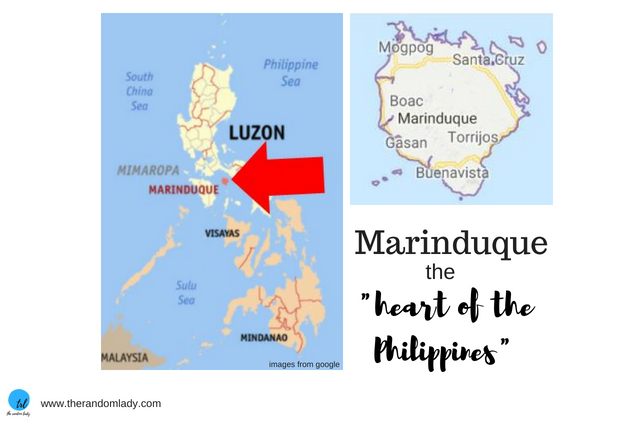 Where is Marinduque and why it is known as the “heart of the Philippines”? First of all, let’s find out where Marinduque is. Marinduque is an island province in Luzon, known as “The Heart of the Philippines”. Not just because of the shape of the island, but also it is location in the map, at the very heart of the Philippines. After a long 5 hours of bus ride from Quezon City, we reached Dalahican Pier in Lucena. The ferry ride from Lucena to Balanacan port of Marinduque is around 6 hours. And approximately 2-hour jeepney ride from the Balanacan port, we reach Bonliw Elementary school. 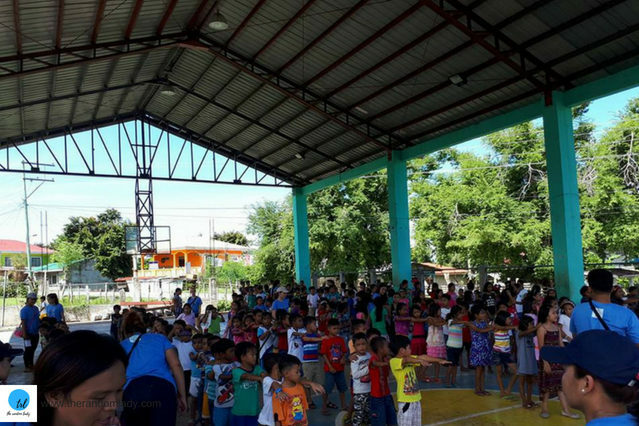 The first day (August 26) of the tour is in Paaralang Elementarya ng Bonliw (Bonliw Elementary School) is in Torrijos, Marinduque. This school was devastated by Typhoon Nina in December 2016. 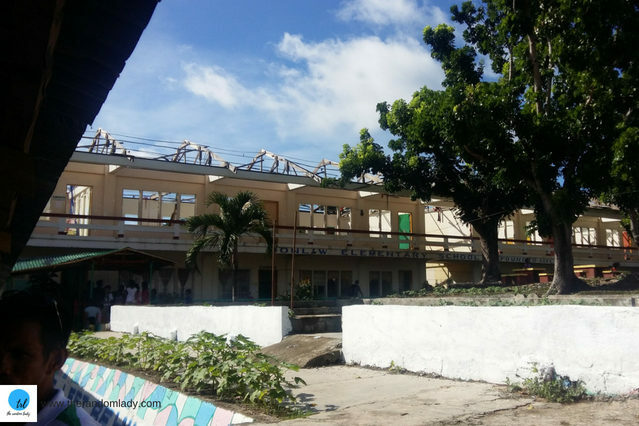 Strong winds of the typhoon tear down the roof of school building. We arrived in the school and seen some students are wiping off the floor as it was flooded by the rain. The locals gave us warm welcome and prepared some breakfast for the volunteers. Part of the tour is the chance to be part of learning group for the students of Bonliw Elementary School. Some volunteers can be part of the support group (planning and food preparation team). The moments with the kids are precious. There are many groups that the volunteers are assigned to (depending on what they prefer). Some groups are with the art group (where i am part of). Others are in the personal hygiene group. This group teaches kids the proper way of maintaining healthy body with the right hygiene. The kids are so fun to be with in a class-like setup. After the group activities, we had fun games with the kids. Some games also include other volunteers. The laughers, smiles, fun and every moment pictures the joy beyond the storm that they went through. Indeed, the time spent and shared with the students Boliw Elementary School and villagers are the memories worth keeping. 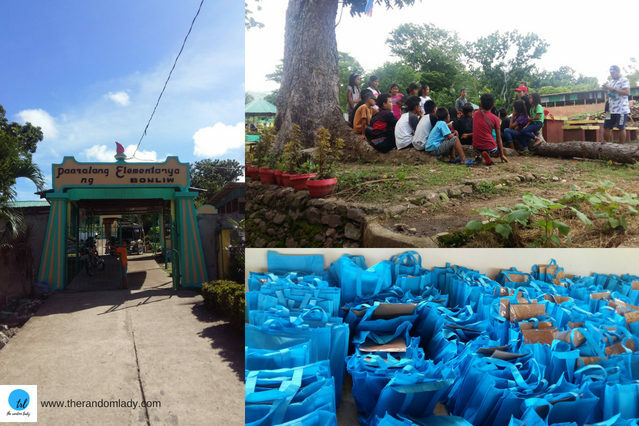 Aside from the fun activities that Kalinga volunteers prepared for the students and villagers, the group donated school supplies for the students of Bonliw Elementary School and roofing materials to help the villagers repair the devastated school building. Some of the volunteers brought candies and school supplies for the students as their personal gift for the kids. It is the greatest feeling when people appreciate what you do. 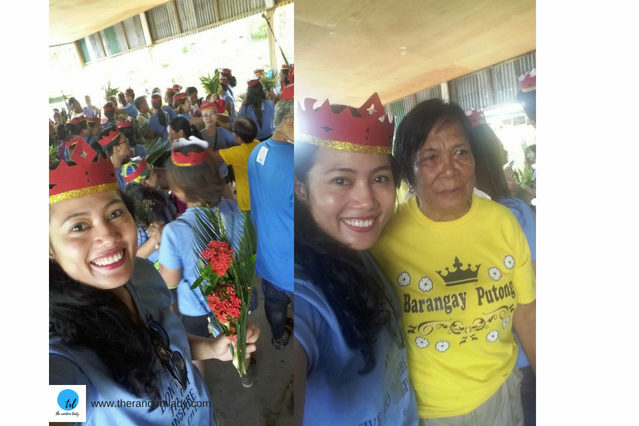 Locals of the barangay (village) presented a “Barangay Putong” to all the volunteers. Barangay Putong is the villagers’ custom. This is to express how thankful and how they appreciate positive gestures. 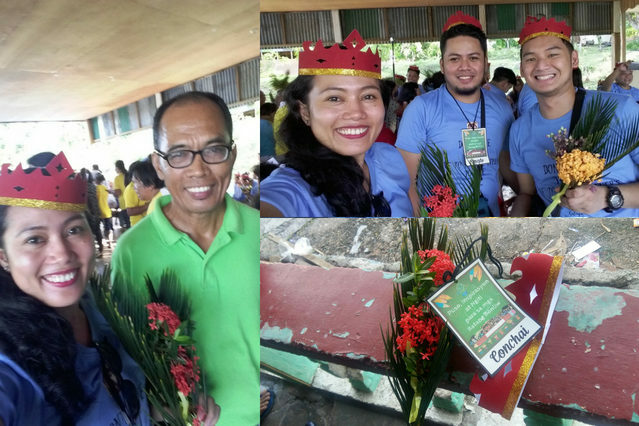 Locals made a crown and flowers to the volunteers to express appreciation. And it is not just mere handling the tokens (crown and flowers). Villagers sing and dance before they give the tokens to the Kalinga volunteers. Then it’s a party after. The kids, villagers and volunteers shared a meal together. It was just the beginning of the tour yet we already had good times. 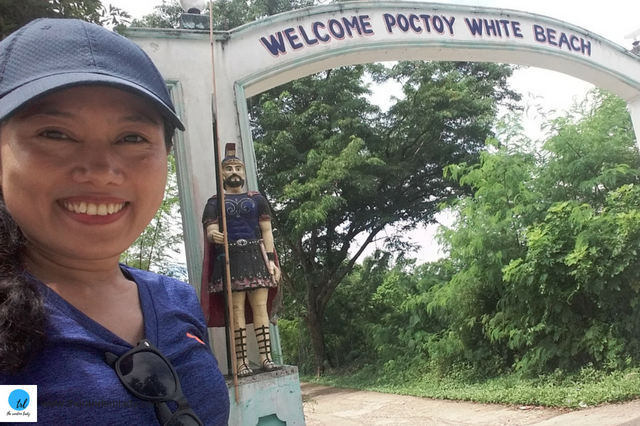 After the Bonliw Elementary school experience, discovering Marinduque continues. 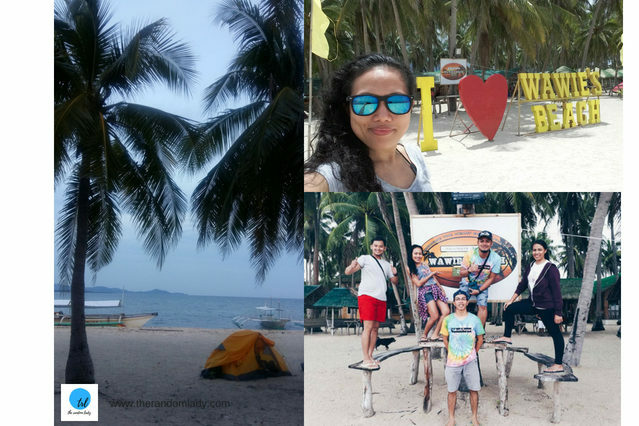 The Kalinga volunteers went to must-see places in Marinduque: Poctoy White Beach, Ka Amon Cave, Wawie’s Beach, Palad sand bar and Mongpong Island. 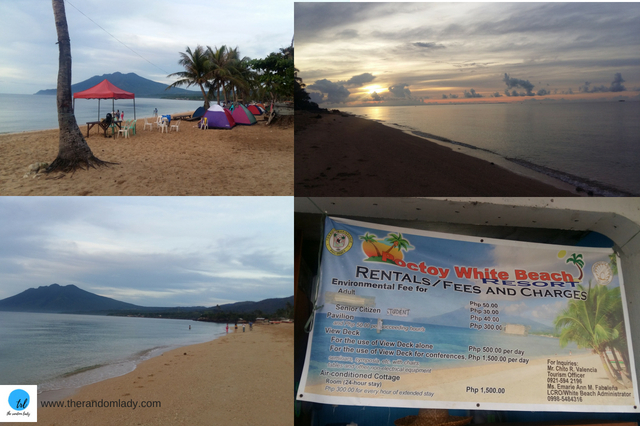 After the activities in Bonliw Elementary school, around 20 minutes of jeepney ride took us Poctoy white beach, in Torrijos, Marinduque. Advised to bring their own tent, volunteers began building their respective beds inside the tent soon arrived in Poctoy white beach. This is where we spent the first night of the tour. The stay in the Poctoy white beach gave volunteers to have a walk and discover the island before the dinner. At the time we went there, some area of the resort is under construction. Nice crew of the resort let me charge my power bank. Day 2 (August 27) started by leaving Poctoy beach to Ka Amon Cave. 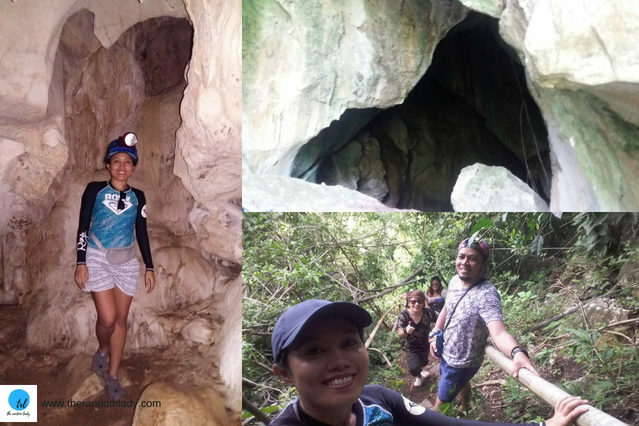 Situated in also in Barangay Bonliw, Ka Amon Cave is our next activity. 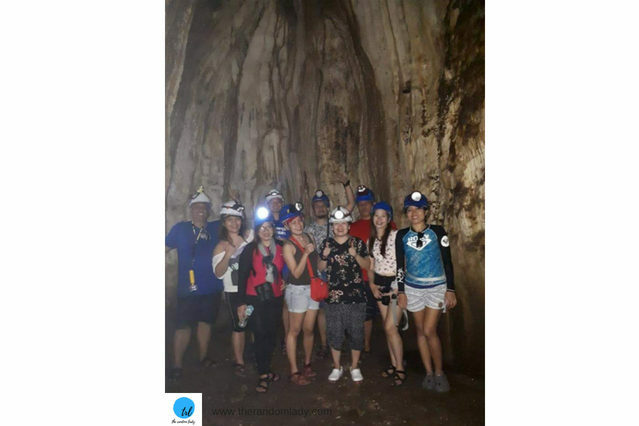 Lead by Kagawad (village leader) Flory Kalugdan, which is also a Department of Tourism accredited tour guide, we explore different chamber of the cave. 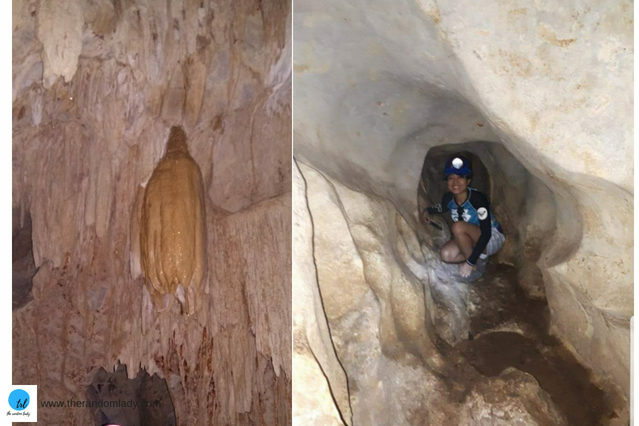 According to Kagawad Flory, the cave was opened to public in Oct 2012. Volunteers are queued by 10 per batch because of the limited number of helmet that time. Ka Amon cave has seven caves with many rock formations. But not every chambers are accessible during that time for safety precaution. One of the chambers of the cave has low supply of oxygen, so tourists are not allowed to stay for a long period of time. One of the chambers has “puso ng saging” (banana bud) rock formation. Around 4pm we leaved Ka Amon cave. 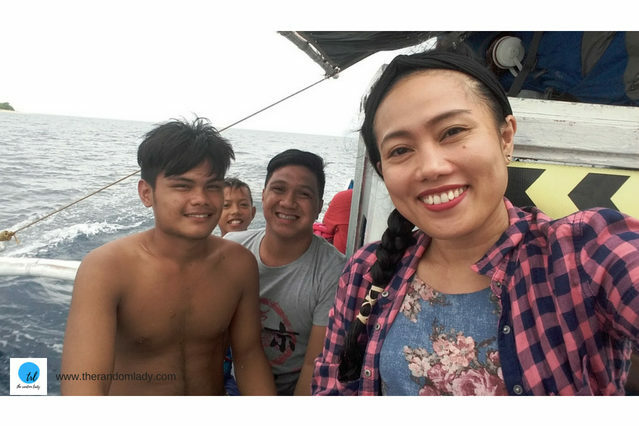 After an hour of jeepney ride, we were at Buyabod port to take boat ride going to Maniwaya island. 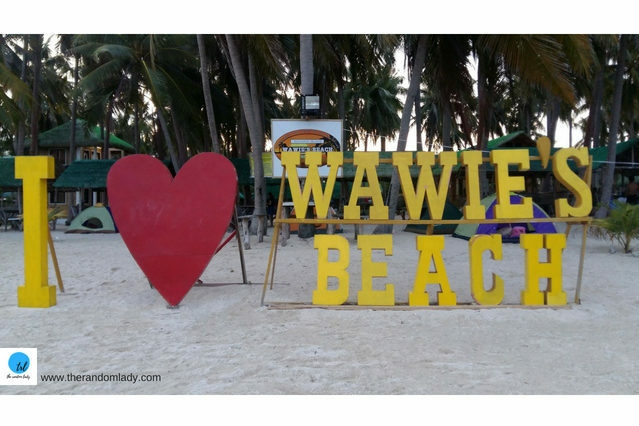 After an hour boat ride from Buyabod port, we reached WAWIE’S BEACH that served as the home for Kalinga volunteers for the second night of the tour. One of the memorable times during the outreach tour is the sharing of the experience in Bonliw Elementary School. After the dinner, volunteers are gathered in the shore. While sitting in the sand underneath the fascinating nighttime in the resort, everyone was given a chance to introduce themselves. Most of the volunteers are first timer to be part an outreach tour. It’s not new kind of group tour for others. But everyone appreciates the experience and inspired to continue paying forward through helping others. After the gathering, everyone rested to their respective tents to prepare for an island hoping the next day. 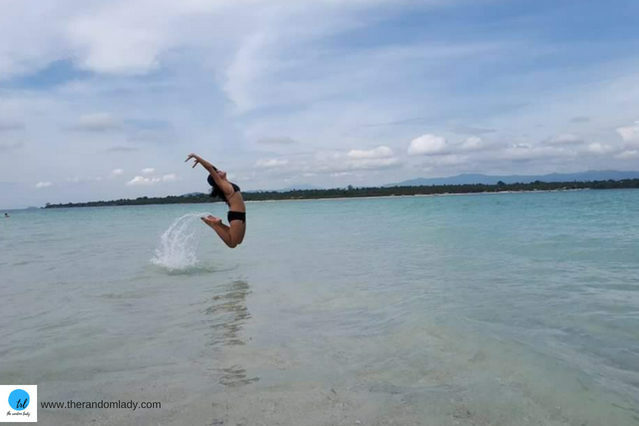 The boat ride will take the volunteers to Mongpong Island and Palad sandbar. Day 3 (August 28), after the breakfast, we had a boat ride from Wawie’s beach to Mongpong island which is approximately 40 minutes. The island has the stunning Ungab Rock formation. 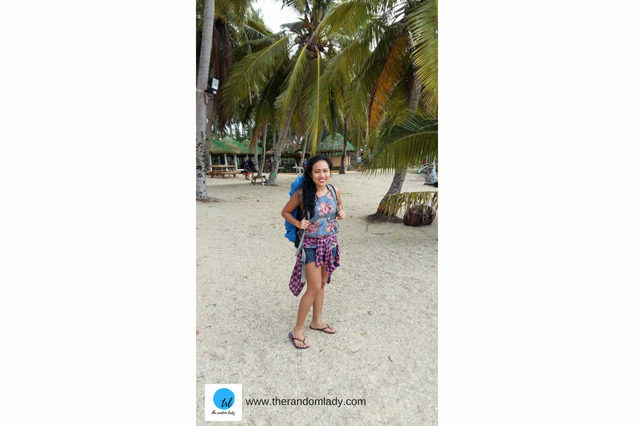 We stayed for around 30 minutes in the island for some picture taking and enjoy the beautiful island. Monpong Island boat ride going to Palad sandbar is around 30 minutes. The crystal clear water kisses the sand bar is fascinating. The turquoise and blue colors surrounding around the sandbar is so inviting. The water is so refreshing and everyone is enjoying the panoramic view. 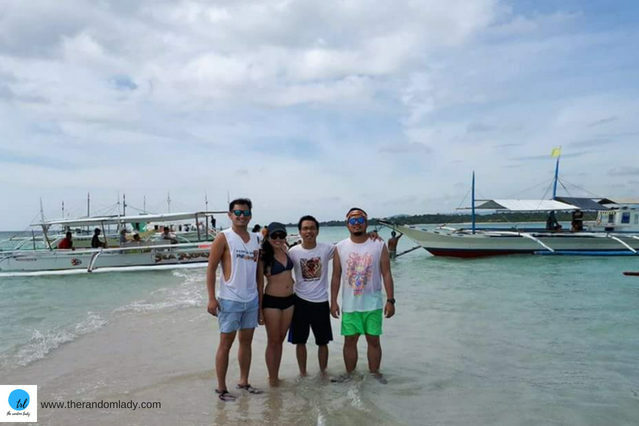 It is recommended to be on the Palad Sand bar early in the morning, which it is still with low tide, to have a nice view of the sand bar. Our group is a little bit late to capture the nice floating sand bar. But still, the small portion of the sand bar is still visible for us to have photo opps. 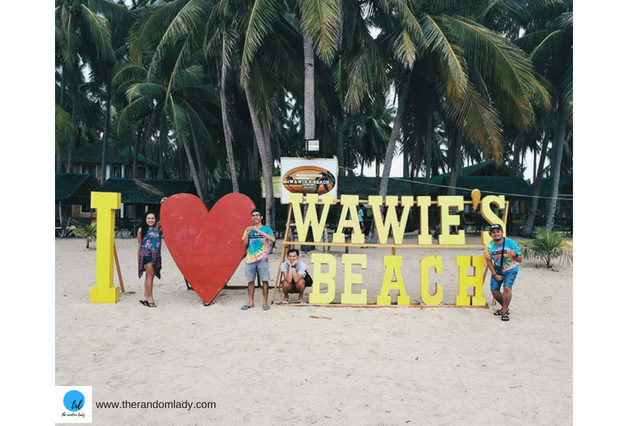 After the island hopping, we headed back to Wawie’s beach. Every volunteer packed and prepare to go home. All of the Kalinga volunteers are gathered to have group pictures before leaving the resort. 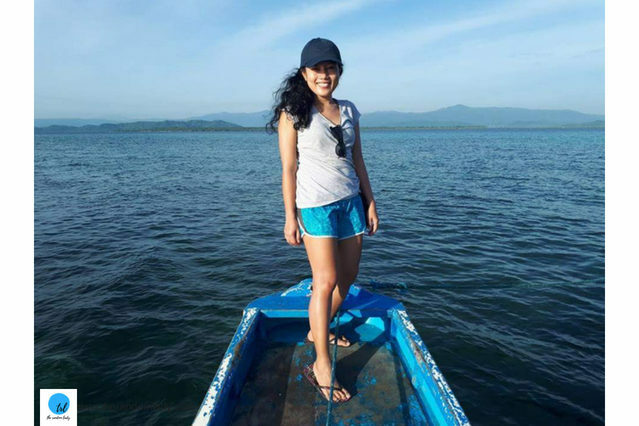 It’s was a long boat ride going to Gen Luna Port in Quezon, and from there, we took a long drive going to the grand central terminal Lucena (Quezon province). It is a goodbyes and thank you expressed before every volunteer take their respective bus going home. 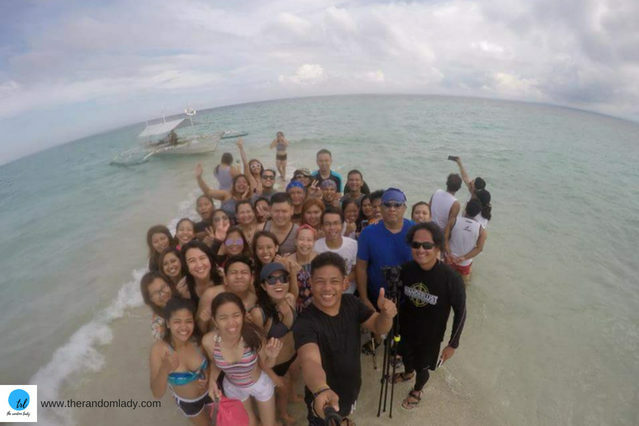 The Marinduque Outreach Tour of Kalinga is a great group tour with very competitive price. 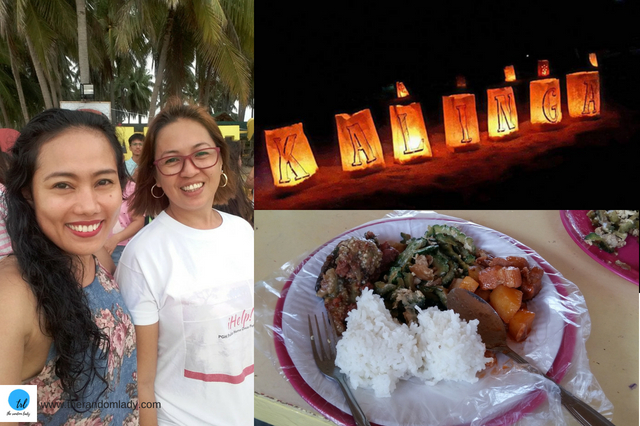 The Kalinga Tour includes shirt, food for the whole tour, transportation and transfer fees (from the meeting place, Bus terminal in Quezon City up to the end of the tour, grand central bus in Quezon province) and part of the fee was allotted to help Bonliw Elementary School. Also, the team is very responsive of any concerns of the volunteers. The team of Kalinga organizes everything for the volunteers. Every meal is great as it is prepared by the Celebrity Chef Lyn Carlos, also one of the founders of Kalinga. I’m thankful to be part of this event or tour. Going out of the comfort zone is the best way to learn. 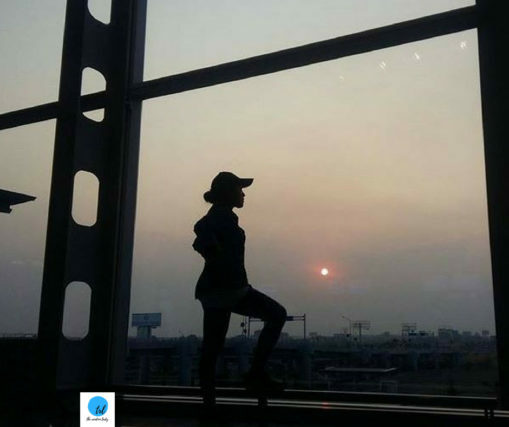 It may sound like a tiring travel, it’s always a unique experience. 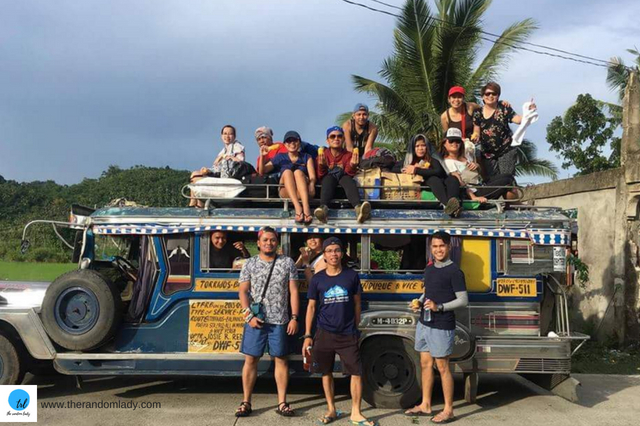 It is a great way to explore Marinduque with the other volunteers of Kalinga. The passion in travelling lets you meet kind people in different walks of life and build friendship. The time spent in Bonliw Elementary School is a treasurable moment. Along with the other volunteers, we had fun with the kids of and the villagers. And also, the small talk I had with Alison (17 years old) and Junior (11 years old) during the boat ride going to Wawie’s beach. 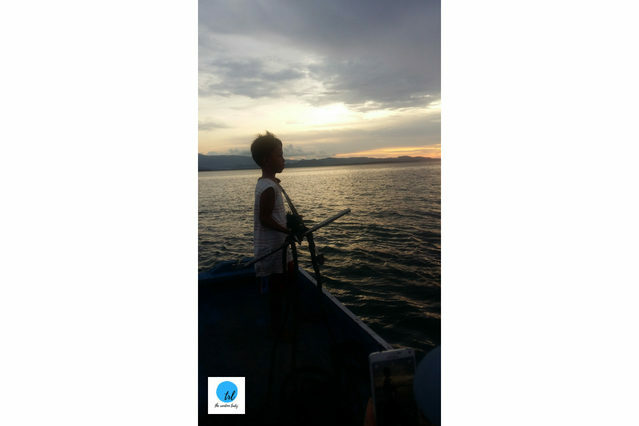 Alison and Junior are both working on a tourist boat to help their parents with the household expenses. It is inspiring that a young age, they are already of the help for their family. 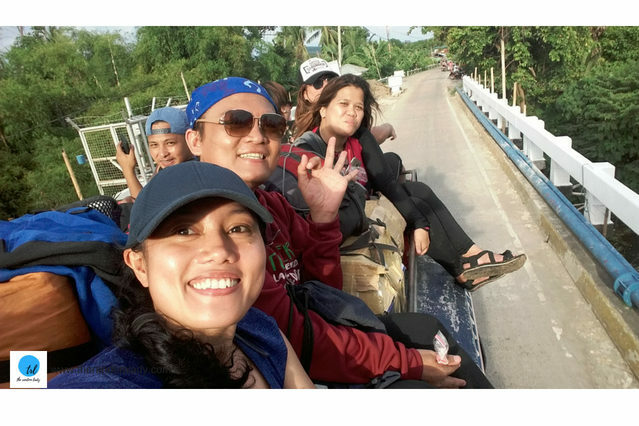 Kalinga Volunteers conquer hours of land and sea travels with the same intention, travel with “paying it forward” activities (outreach tour) to share smile and love. To know about the upcoming activities of Kalinga team, visit Kalinga facebook page here. 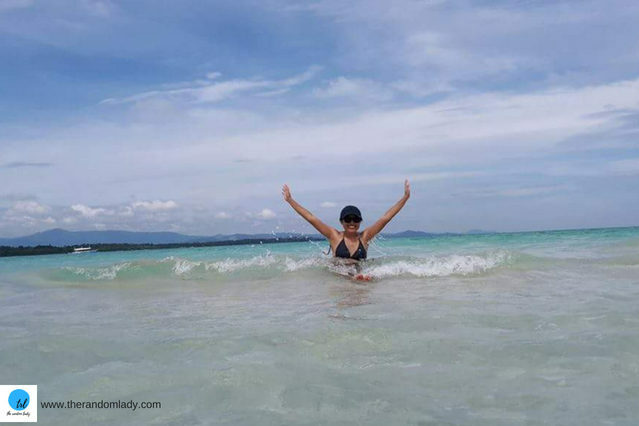 Discover why IT’S MORE FUN IN THE PHILIPPINES here! 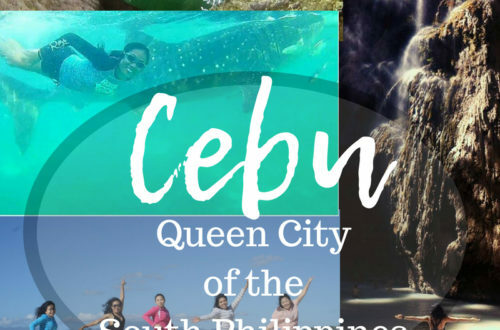 Take a peek of the QUEEN CITY OF THE SOUTH PHILIPPINES here. The Sisig is the world famous sizzling pork dish is in Angeles City is world famous find out why here. What an amazing idea, an outreach activity with a side trip! The advocacy screams really loud. I hope more people would engage in such charitable activities. I love the advocate and so as the fun! 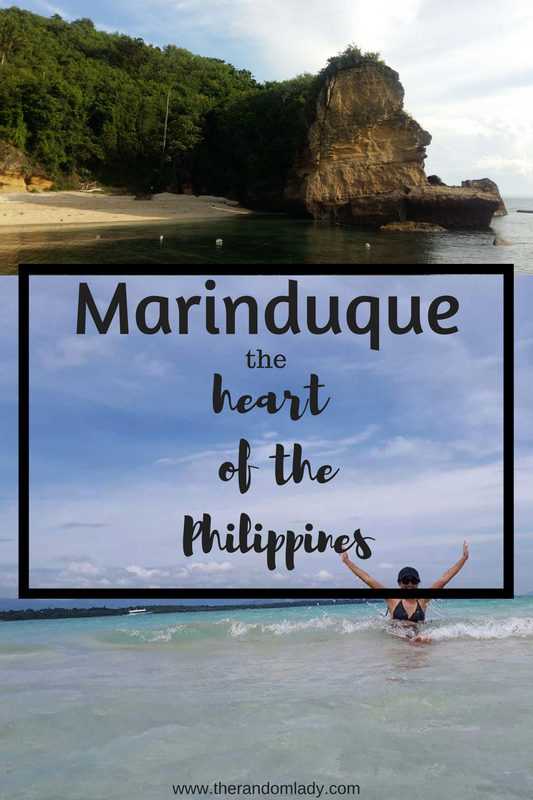 Seems like Marinduque will capture the heart of everyone too! The beach looks so gorgeous! I would love to go to the Philippines one day and enjoy all it has to offer. This sounds like such an amazing place to visit! This is one place that has been on my bucket list for quite sometime. I really do hope to experience some of these places when we go. Thank you, Leigh Anne. It is indeed an amazing place to go. What an amazing trip. Such a great place to visit. It’s now on my must-vist places list. 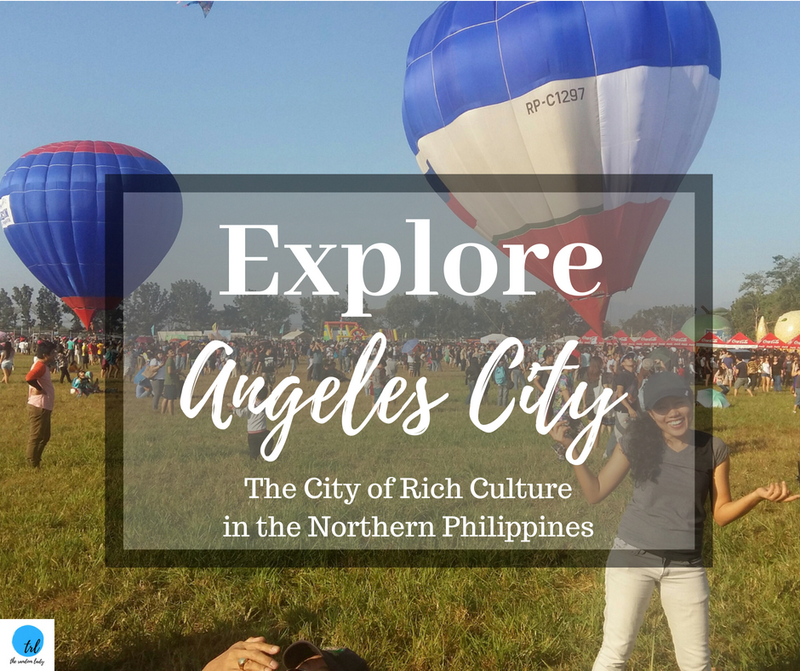 Who knew there was so much to explore in the Philippines. I’d love to travel there one day! I appreciate that Michelle. Hoping you can make your goal in the future. Paying it forward is indeed a great thing to do. Wish you can relax and have that leisure soon, Czjai. Thank you. Thank you, Trina. I really appreciate it. I have never been to the Philippines but I akways wanted to visit. Will definitely go here one day. Your writing is very detailed. Your pictures are lovely. I enjoyed it. I have never heard of Marinduque before. Thank you for taking the time to let me know so much about this beautiful place. 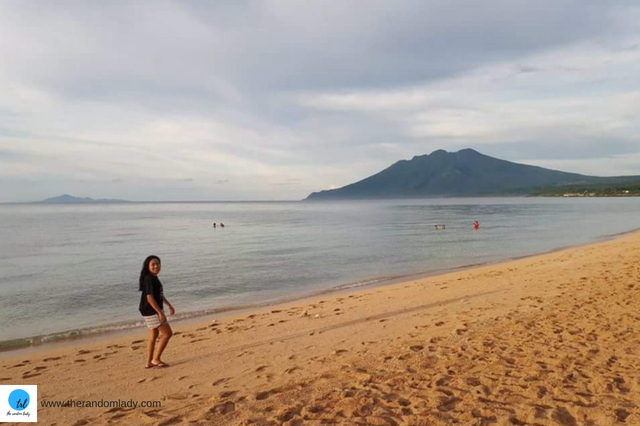 I have never been in Marinduque but it looks like a nice place to visit and to explore. I always loved going to the beach and sounds like I will be enjoying in this place, will def add to my bucket list. I’ve always wanted to visit the Philippines, but haven’t made it so far. I’ve heard the people there are so nice! Looks like a humbling but magnificent experience. Beautiful views and some neat locations. Thanks for sharing. 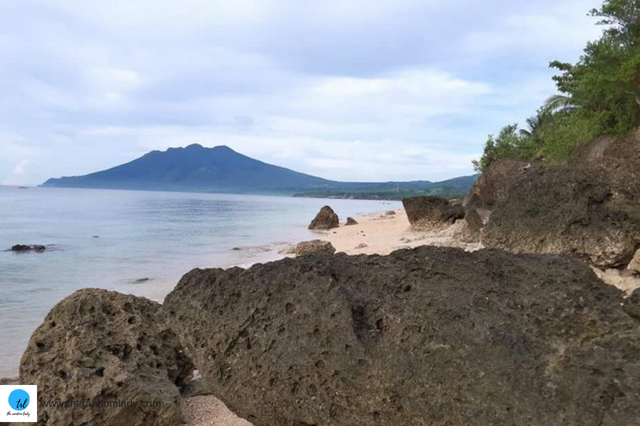 Marinduque is an amazing place! I’m proud to be a Filipino. I haven’t fully explore Marinduque but I hope I can visit it when I go to Manila again. Lovely post! Hope one day you overcome your sea sickness, Edward. 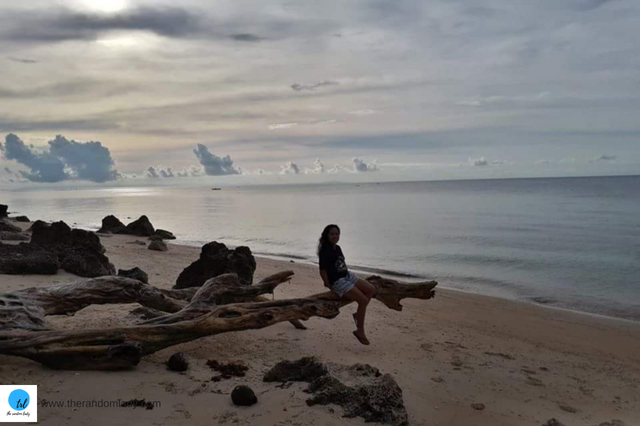 And visit beautiful places like Marinduque. I am so glad you actually took time to tell where Marinduque is. I read a lot of travel blogs, and there have been so many times where I’ve had to google where a place is cause I haven’t heard of it before. Like Marinduque, this is the first time I’ve heard about it, and I think it sounds great! I also think it’s awesome that you combined travel with humanitarian work.Would love to travel here, especially check out the white beach and the cave. I appreciate your words to my post, Namra. Indeed, travel for a cause is a great tour to experience. Thank you. The pictures are really awesome. The philippines look amazing and now I know why so many people travel there for vacation. It seems very extraordinary. Iba pa rin ang Pinas!! I’m really looking forward to visit this beautiful island! Thanks so much for this blog post!! That seems like a womderful place to visit. So wamt to go there when I travel! It is so nice that you got a chance to volunteer along with enjoying an exciting trip. I haven’t heard of Marinduque earlier. Thanks for sharing the information. Would love to visit someday. Beautiful pictures and detailed write up! Amazing trip, especially you had a chance to volunteer. Are outreach tours open to anyone from any country? Yes, most outreach tours are hosted by local travel groups in facebook. Looks like you had a great time. Stunning pictures by the way. Wow! This place looks really beautiful. I plan to go there some day. Thanks for sharing. What an interesting story! Definitely look forward to visiting this island. I love all the pictures. Thanks for the eye opener. Am really considering this. Seems a good place for vacay. Are there many tourist now? Hopefully not like Boracay. Marinduque is like a not that touristy yet. so its nice to visit. I guess Boracay still closed at the moment for rehabilitation.Thank you. So agree that Outreach tour is a unique travel. 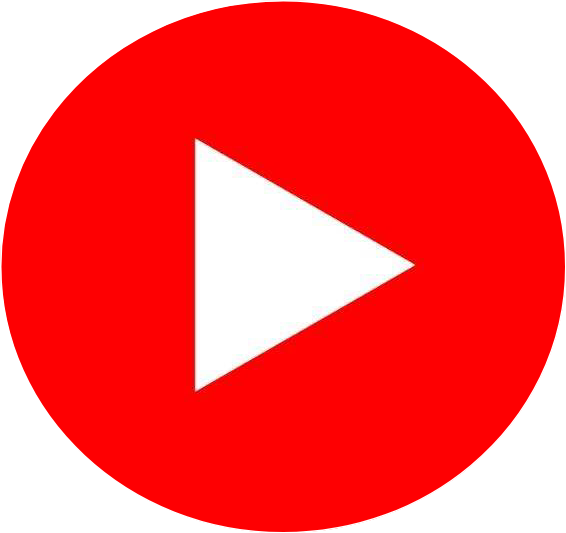 Along with the excitement to go with your friends and having some fun, there is also some character building. Good that students get this exposure early. Indeed. This kind of tour also inspire others to do the same. Shooting two birds with one stone, it couldn’t get any better than this. 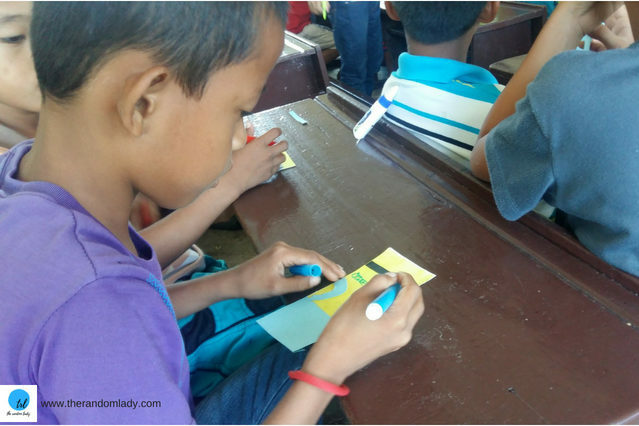 Lucky for the children of Marinduque, they have your group to lend them helping hands. Delighted to know of this scenic island in Philippines. Like all pics and detailed info to facilitate visit. Looks like an amazing trip, we wish to visit one day. Beautiful Pics! Now I want to go to the Phillipines! 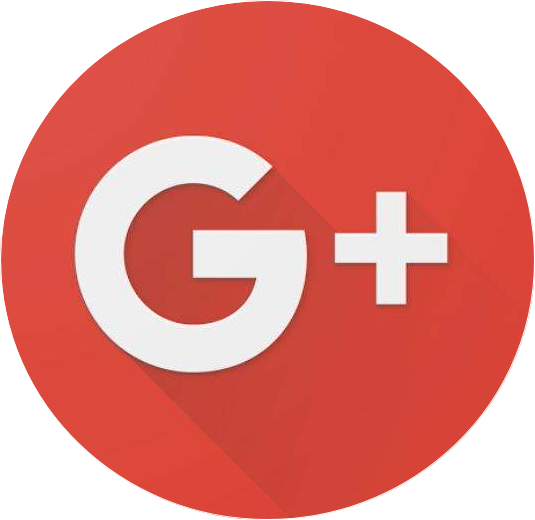 Such an interesting place to visit and nice blog.